The Mietta Song Competition (formerly the Mietta Song Recital Award) sprang from an idea of the late Michael Easton and his partner Len Vorster. It came into being at Mietta’s, the Melbourne restaurant in which the late Mietta O’Donnell and her partner Tony Knox established a salon of all the arts, and especially music. In 1995, supported by the distinguished singer, Lauris Elms, it was initiated as an award to foster art song, that intimate partnership of voice and piano which may seem small indeed, but which can nevertheless pack more punch in one minute than an aria or chorus ten times longer and louder.  The annual competitions were conducted by Mietta from 1995 until her untimely death early in 2001 and, from 1996, were known as the City of Melbourne Song Recital Award. The Mietta Foundation, formed to honour Mietta’s memory and continue her activities, enabled a renamed Mietta Song Recital Award Committee to revive the competition, very successfully, in April 2003.It was renamed again as the Mietta Song Competition in 2010. From the beginning, the Award aimed to assist singers to develop their skills, in Master Classes conducted by distinguished performers at the time of the competition, and, by providing opportunities for study and performance in Australia and overseas, to further their careers. The winner of the 2006 competition, Alexandra Sherman, has since appeared in John Adams’ Nixon in China at the English National Opera; Rossini’s La Donna del Lago at Garsington Opera; and Opera Australia’s production of Alcina. The 2006 winning accompanist, Amir Farid, is one of Melbourne’s most admired pianists and a member of the prize-winning Benaud Trio. The 2008 winner, Maria Okunev, has been performing in Australia and overseas as well as being featured in ABC concerts. The 2010 winner, James Roser, has been performing at the Victorian Governor’s Recital Series at Government House and throughout Australia and overseas. Art song is a demanding discipline, requiring perfect cooperation between singer and pianist in matching words and music, and communicating both to the audience. The process of the Award is, however, relatively simple: Entrants perform three songs, differing in period and in style, to a live audition panel. The audition panel selects up to eight semi-finalists, inviting them (and some others) to participate in Master Classes before the weekend of the competition, when the distinguished judges select up to four finalists and award the various prizes. Since there is also an audience prize, those attending need to know that the criteria applied by the judges include: understanding of the genre; choice of material; musicianship; technical competence; rapport with the audience; pronunciation and interpretation of languages; and versatility in program. Semi-finalists must present, in their allotted fifteen minutes, songs (in more than one language), each from a different music period, ranging from classical to contemporary. Finalists devise their own thirty-minute programs to satisfy the judging criteria. Performing an art song may be more like painting a miniature than a mural, but the result can be stupendous, as the audience will again discover.